Our step-by-step guide will illustrate how to set-up the Dairy Forecaster for different business types. Tip: If your business requires multiple Dairy Forecasters i.e. you run more than one shed, you will need to create custom codes. It is a good idea to familiarise yourself with this topic and then click here for information on how to set up multiple Dairy Forecasters. 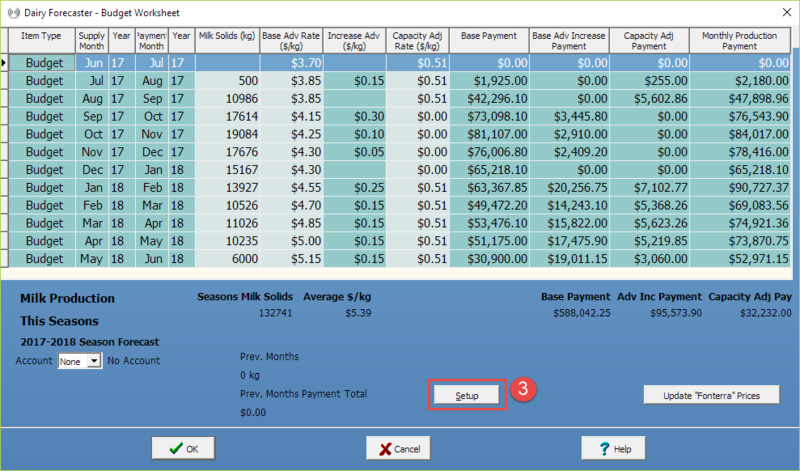 From the Cashflow screen, create a new budget or view an existing budget. Select the Dairy Company you supply. You can choose from Fonterra, Synlait, Westland or Other. 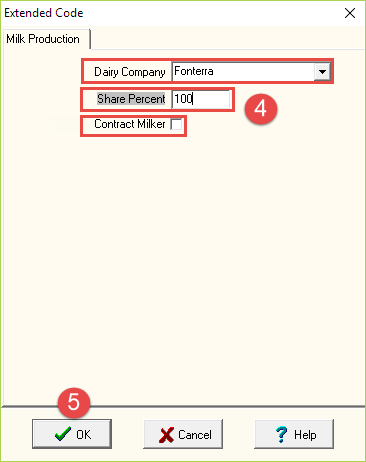 If you're share-milking, set the percentage applies to your business, otherwise for owner/operators, leave the Share Percent as 100. If you contract milk, tick the Contract Milker box. Make sure to change the Dairy Company to Other. If it is set to Fonterra, the Increase in Advance Rate calculations will distort your payments. NOTE: Australian clients need to select Other as the dairy company.